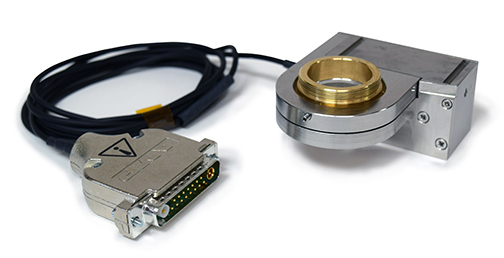 The NanoScanOP 400 Nanopositioning Piezo objective scanner provides the fastest step and settle time of any objective positioner available. Incorporating capacitive feedback sensors, it also has market leading positioning accuracy and resolution. 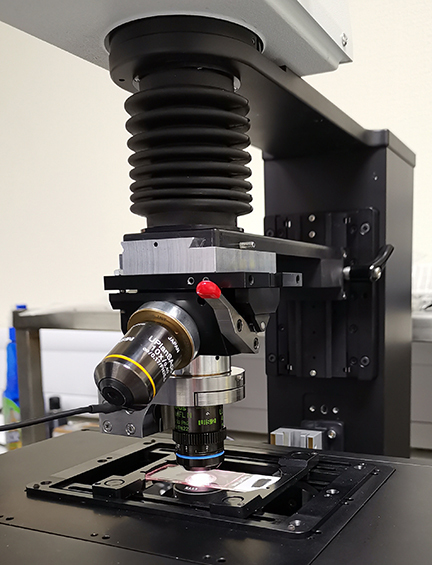 Compatible with most microscopes and objective lenses the system has user configurable settings optimized for different objective sizes, weights, and performance needs. The user simply selects the best setting for their application. • Made from stainless steel providing greater mechanical stiffness (faster) and temperature stability (lowest drift). • The stage is a flexure guided system. 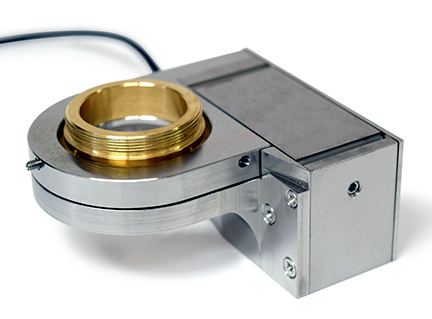 The friction free flexures are designed to provide high stiffness and to minimize off axis motions giving high repeatability and faster cycle times. • Suitable for upright and inverted applications. • Connectors with built in stage calibration provide plug and play electronics which can be interchanged, minimizing system down times. • Rapid settling times even with large objective loads. Tested to function for greater than 10 million full range cycles.